Released in 2010, Alicia Renée and St. Paul Winter Carnival Klondike Kate of 2005, Paula Berends team up with the Minneapolis band Soap to create an all original Country pop album that will keep your feet tapping! In 2002, Alicia Renée recorded her first album containing her favorite jazz standards, along with a jazz rendition of Aladdin (Disney) "Prince Ali" as well as an a cappella original. Read the Jazz Times Review here. 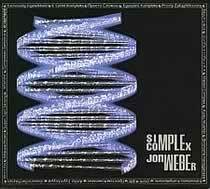 Piano virtuoso, Jon Weber, gives us another reason to keep loving jazz with this stellar recording, Simple Complex, containing all original compositions. Alicia Renée is featured on this album on the track "Is It Only Me?" along with Kurt Elling.